An independent review into last year’s devastating wildfires and floods in B.C. has found better communication and coordination is needed with First Nations communities. An independent review into last year's devastating wildfires and floods in B.C. has found better communication and coordination is needed with First Nations communities. The report makes more than 100 recommendations on how the B.C government can improve its response to natural disasters. Many of the recommendations address issues such as the need to include Indigenous communities as true partners during planning and decision making. "We are not just a community or a stakeholder. We are governments equal to local, provincial and federal governments," said report co-author Chief Maureen Chapman of the Skawahlook First Nation. "Making those alliances across whatever boundaries people create, whether it is municipalities or cities or reserve lines, is something that needs to be set aside." The report also calls on governments to build cultural sensitivity training and awareness of racism and discrimination into emergency management plans and to encourage the integration of traditional knowledge. The report also notes there is a growing gap between the amount of money the province spends on responding to disasters and the funds available for prevention. A multi-year prevention strategy is needed, said report co-author George Abbott, a former Liberal MLA. "I salute what government has done and what government is doing, but we have, I think, given the magnitude of the challenge a significantly long way to go yet," he said. Provincial officials say there is no estimate on what it would cost to implement all 108 recommendations in the report. But 19 of the recommendations have been addressed based on internal reviews by ministries into last summer's wildfire and flood response, said Forests, Lands and Natural Resources Minister Doug Donaldson. The province spent $550 million fighting the wildfires, which displaced 65,000 people and destroyed 1.2 million hectares of forest. No lives were lost, but some residents questioned whether officials did enough to save homes. The review was conducted by George Abbott, a former B.C. Liberal MLA and Maureen Chapman, a hereditary chief of the Skawahlook First Nation. They held community consultations and toured damaged areas of the province. Individual government ministries also conducted their own reviews. But an independent report was called for because of the severity of the situation, said Doug Donaldson, the minister of Forests, Lands and Natural Resources. "We had internal reports done about how the government responded to these situations and we just felt with the scope and scale of what was experienced that an independent report was justified as well," he said. The 2017 fires were preceeded by severe flooding in the B.C. Interior. 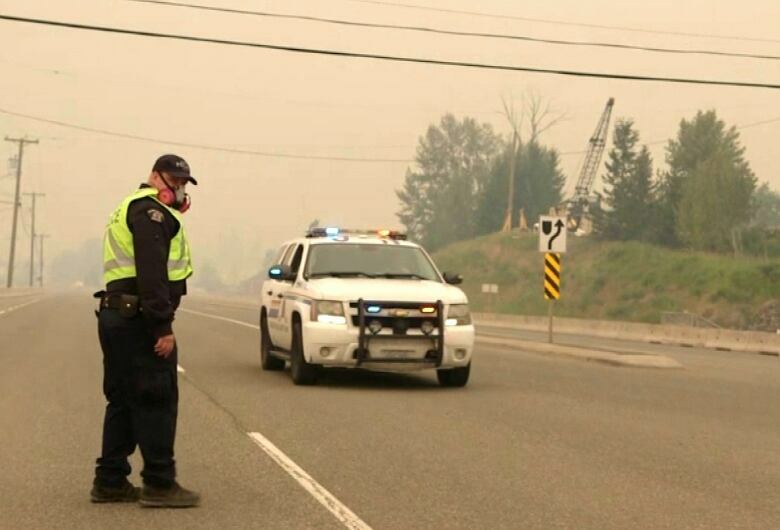 Communities such as Cache Creek, Kelowna, Vernon and Dawson Creek were hit hard. 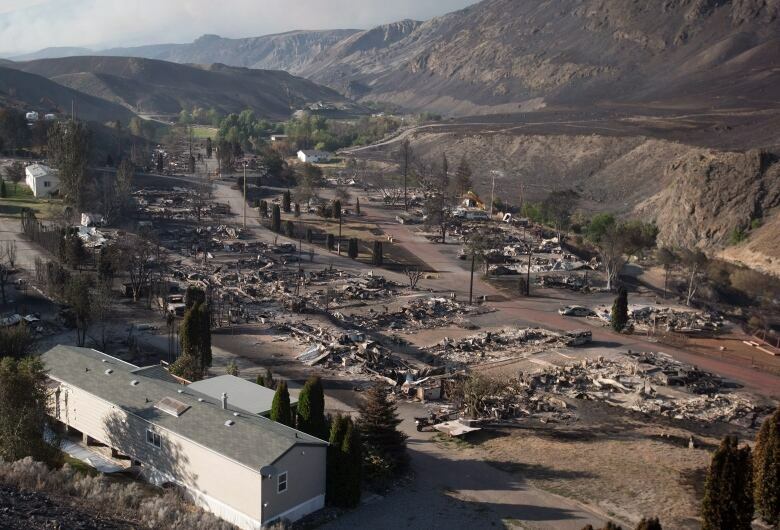 The fires and floods combined resulted in the largest claim in history — estimated at $400 million — under Canada's Disaster Financial Assistance Arrangements. 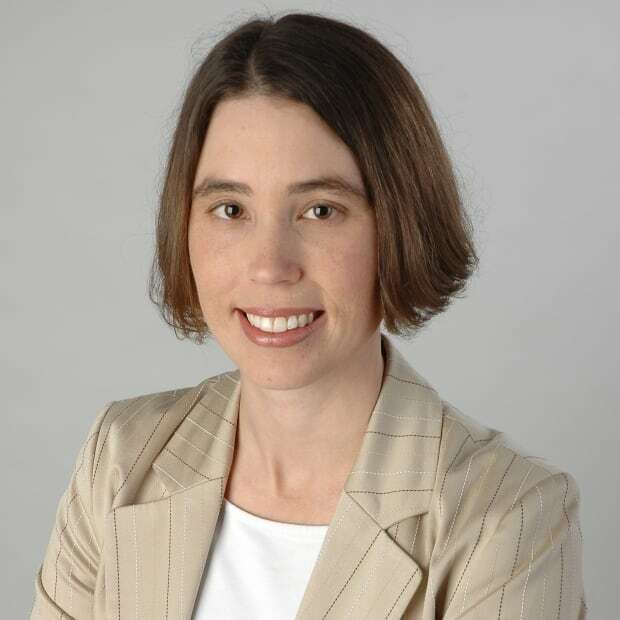 Megan Thomas is a reporter for CBC in Victoria, B.C. She covers stories from around Vancouver Island and the Sunshine Coast. Follow her on Twitter @meganTcbc.